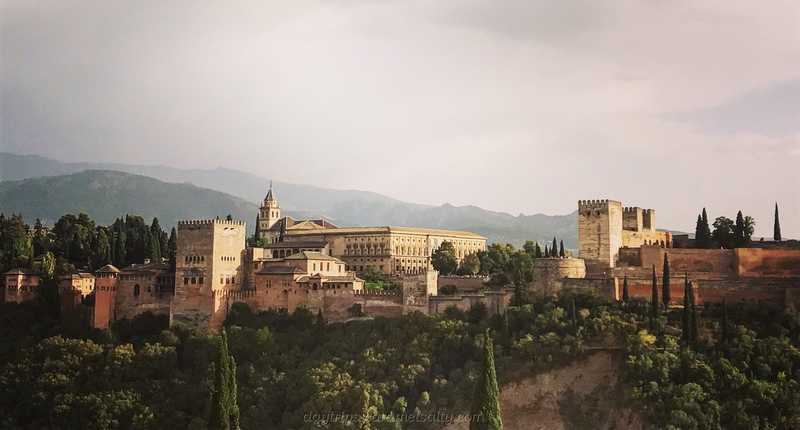 With 30 hours in Granada and with no tickets for the Alhambra (you must prebook weeks ahead of your visit), I decide to discover the alternative Granada. And what a revelation. I discover that Granada is a city of elegant squares, beautiful churches, elaborate fountains and ancient cobbled streets. Opening times for museums and churches vary, with many shutting in the afternoon heat. Where possible I have included links to opening times. ery bright and light. It’s 5 Euros to get in, including a free audio guide. It’s considered to be one of the first Renaissance church built in Spain, built by Queen Isabella straight after the conquest of Granada. It has one of the prettiest chapels I’ve seen. Galleries running all the way up to the heavenly skies. Do also look out for the beautiful organ. 19th century, there stood, at the plaza´s east end, a large Moorish gate which stood on the sandy bank of the river which now flows unseen beneath the Calle de los Reyes Catolicos. A bridge connected it to the the merchants´ inn on the other side, today known as the Corral del Carbon because, after the Moorish period charcoal vendors brought their wares down from the forests to be sold in its patio. It’s highlight includes the horseshoe arch, under which one passes to the reception area. I wander down to the tourist information centre, the one located in the Ayuntamiento (Granada City Council) with its impressive façade. Do go right in to the far end of the tourist office and peer into the courtyard of the charming council building. The public is not permitted entry into the council buildings. The next stop is the Convent San Anton, which is not marked on Google Map. To locate it, walk down the Calle de Los Reyes Católicos, i.e the route of the old river, to the corner of Calle Acura del Darro and Recogidas ( Harvest Road). It’s a beautiful church and definitely worth a look in. own towards Plaza Puerta Real, to see two pretty fountains, the Fuente de las Batallas on Plaza de Campillo, followed by Fuente de las Granadas at the bottom of the shady Plaza Puerta Real. There are some nice local bars and restaurants here. The Basilica de Nuestra Señora de las Angustias is along here too. It was shut when I walked by. But it has a pleasant courtyard to the side of it. pretty street. The Taberna de Jam looks like a decent eating establishment. I decide to try their salmorejo, and I’m not disappointed. It’s the first time I’ve tasted this creamy garlicky purée of tomato, garnished with tuna. It’s heavenly. ch of Santo Domingo on Plaza de Santo Domingo. As it’s shut in the afternoon, I saunter down Calle Ancha de Santo Domingo and then turn right at the corner of Casa de los Girones and Palacio de los Condes de Gavina. Both were unfortunately shut for a siesta. So straight on to Calle Santa Escolastica towards the Bar Candela, which looked a cosy, friendly little place for more refreshments. There’s a wonderful mural on its side wall. the alley by the Bar Candela, my eventual destination being the Puerta de Las Granadas (The Pomegranate Gates). I let my fancy take me up and down steps, with the occasional check of Google map to ensure that I’m generally heading in the right direction. And my reward for all that ascending and descending are quaint cobbled streets, mosaic archways, wall murals and views of the hills surrounding Granada. I eventually arrive at Calle de Antequeruela Alta. You are now in the wooded area surrounding the south side of the Alhambra. Then down the path to the Puerta de las Granadas. There are options to continue your walk up the hill towards the other gates and into the woods, before exiting back to streets and touristic shops via the Puerta de las Granadas. arried here, but then executed for possessing a liberal flag). After several bars and bridges across the Rio Darro, I find the Hammam al Andalus Arab Baths. So inviting after a long day of travel. However they were fully booked, but I now have their details for next time. I cross over a little bridge to the other side of the stream. I visit the baths, El Banuelo, which are one of the best preserved ones I’ve seen. You are able to see a computerised image of the original baths. You pay 5 Euros for a combined ticket to the baths, the Casa Horno de Oro and the Palacio Dar al-Horra. But they must all be visited on the same day. nother beautiful church with a tower that can be climbed for 2 Euros. It’s not a too high a tower, and certainly worth the rooftop views over the city. I then walk along to Calle Candil, admiring the views of the Alhambra from below. There is an open air terrace for another pleasant pit stop. Next I wander up Calle Candil towards the general direction of the Mirador San Nicolás, via Restaurante Tomases, a cocktail garden. There are great views, especially from the top most terrace of the restaurant, which you can also access from Carril de San Augustin. 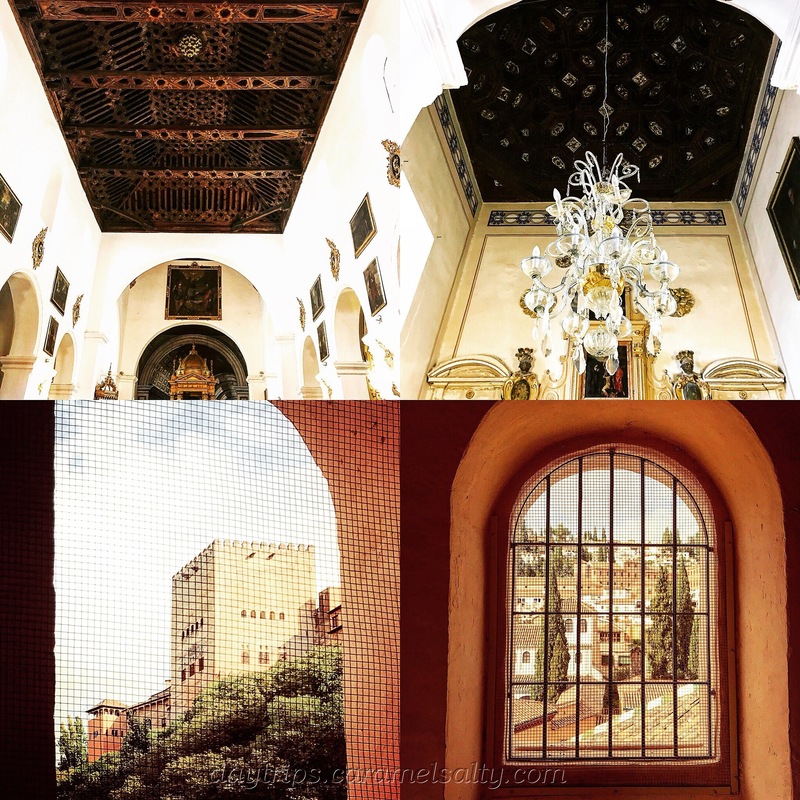 There are great views of the Alhambra all the way up to Mirador San Nicolás. right, and I slip in, only to find the Mezquita Mayor (Grand Mosque) de Granada. Unexpected. But has a charm of its own and a lovely garden , with fountains, and a less crowded view of the Alhambra. ly covered in scaffolding. I start making my way down and spy a heladeria (ice cream shop). Refreshed by my orange and date ice cream, I make my way to Carmen de Max Moreau. This was the residence of the Belgian portrait artist, who after having spent 30 years in the city, bequeathed all his estate to the city on his death in 1992. It’s free to enter. Apart from his wonderful portraits, the gardens and views from the balconies are fabulous. I then happen to chance upon the Monastery of Santa Isabel La Real, which is only open to the public from 18:30-19:00 Monday’s to Friday or during service on Sunday. At all other times the nuns live there in solitude. I was blown away by the chapel inside (strictly no photos inside). And in the quiet of the church, I heard, and then turned around to see, the nuns chanting prayers in unison behind a screen. Since then I’ve discovered that the nuns also make and sell sweets, including chocolate macaroons, at a door round the back. t stop is Iglesia de San Miguel Bajo. Another beautiful church around a pleasant plaza, where I stop to have a coffee. I then make my way to the next Miradors ( viewing points) of Mirador de la Lona and Mirador Ojo de Granada. They offer a different perspective to the west of the city. destination of the day, Calle Elvira. A street reminiscent of a street in Marrakech, with tea rooms, street stalls selling leather goods, hammams, eateries, vibrant, noisy, crowded. It’s a good place to spend the evening. There’s even an Irish bar, Hannigan’s, in the vicinity. I had managed to cover quite a bit in my 30 hours in Granada. But as ever there is more to do. There is still the Alhambra to visit. And the Sacromonte area to discover. And to revisit everything that was shut when I walked past. And when I return I’ll let you know of my new discoveries of the beautiful and genial Granada. Thanks for visiting my blog, and happy new year. Your post brought back wonderful memories of our visit to Granada – Alhambra, the lovely fountains, Mezquita and its stunning architecture. We would have missed this opportunity to see this stunning city had it not been for some tourists sitting beside us for a Flamenco dance in one street corner. Happy New Year to you too Veena. I’m glad it brought back such good memories.